As progress on its Salamanca uranium mine hums along, Berkeley Energia (ASX | LSE: BKY) has been busy getting its other affairs in pristine order. Management and money flow are two important elements to get right for any mid-cap mining hopeful. BKY understands this and has been disciplined in its efforts to secure excellent additions to its team, as well as timely funding injections, particularly as it undertakes an important next chapter. In the last six months, we’ve witnessed some stunning performances from this uranium developer. Now the show is nearing its penultimate Act... the home stretch to production. While investors await further material progress on the mine itself, macro supply and demand factors are aligning with the developer’s game plan and projected production schedule. This has left the company’s average fixed price per pound of contracted and optional volumes now above US$42 (£31) per pound. BKY also has 2.74 million pounds of U308 concentrate (triuranium octoxide, a compound of uranium) under long-term contracts over the first six years of production with a further 1.25 million of optional volumes. Looking at the market beyond BKY, production cuts from high-cost operations have been working to bring the market into balance. 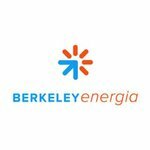 For BKY, that’s led to an uptick in off-take contract invitations from utilities companies. Add to that the fact that the EU currently has no domestic uranium supply, with over 60 % imported from Russia, Kazakhstan and Niger... what BKY can bring to the table is looking more and more attractive. A quick look at the company’s bank balance shows that things are falling into place there, too. The dual-listed developer announced last month it had signed a US$120 million sovereign wealth fund strategic investment to boost the Salamanca mine into production. The agreement is with the Sultanate of Oman sovereign wealth fund, which has agreed on the substantial figure to fully fund the mine to production stage. In the month prior, BKY informed the market that capital costs for Salamanca had reduced to €82.3 million (US$93.8 million or ~AU$140 million). The reduction on previous estimates is further confirmation of the project’s status as one of the lowest cost uranium mine developments in the world today... in no small part due to its well-established EU infrastructure, a highly competitive cost environment, as well as short lead times for major equipment items. Yet BKY remains a speculative stock at this stage and has some work to do before it achieves its aim, so take a cautious approach if considering BKY for your portfolio. The company’s management is also maintaining its high level of combined expertise, with the appointment of ex-Rio Tinto executive Nigel Jones, and co-founder of Majedie Asset Management Adam Parker, with an enviable 60 years combined relevant experience between the two of them. Both appointments are smart moves from BKY, and a vote of confidence in its future. While the focus in news flow lately has been on funding, management and the timing of macro factors, the Salamanca mine itself has not gone unloved. Things are progressing well at the site, with infrastructure work 100% on track, the delivery of the primary crusher to the site and secondary crusher to the warehouse, the delivery of the FEED as scheduled, and a total of 600 hectares of land acquired or leased to date. To refresh your memory, the Salamanca mine is located in a historic mining region of western Spain, three hours’ drive from Madrid. Salamanca is the only major uranium mine in the world currently under construction, yet another feature that gives this company a special edge. Let’s start with the most recent, and arguably the biggest, chunk of news to come out of this ~$200 million (£118M) capped company, the millions in funding it just secured. The agreement means the Salamanca mine will be fully funded through to production with a high likelihood of the Fund becoming an offtake partner. It’s yet another perfect piece of the puzzle for a company with a focus on making strategic moves for the long-term with the aim of dominating the supply of uranium in Europe, an area previously starved for domestic supply and willing to pay more than the current spot price. The sovereign fund could become a key component of BKY’s future revenue stream, so the convenience of the relationship is not likely to stop at the initial injection of funding. The finer details of the agreement are: an interest free and unsecured convertible loan of US$65 million which can be converted into ordinary shares at 50 pence per share resulting in the fund owning approximately 28% of the company; three tranches of options convertible at a weighted average price of 85 pence per share contributing a further US$55 million resulting in the fund holding a further 9%; subject to shareholder approval, and includes the right for the fund to appoint a non-executive director to the Board. With that amount of money invested, the Fund has very high standards for this kind of investment decision. 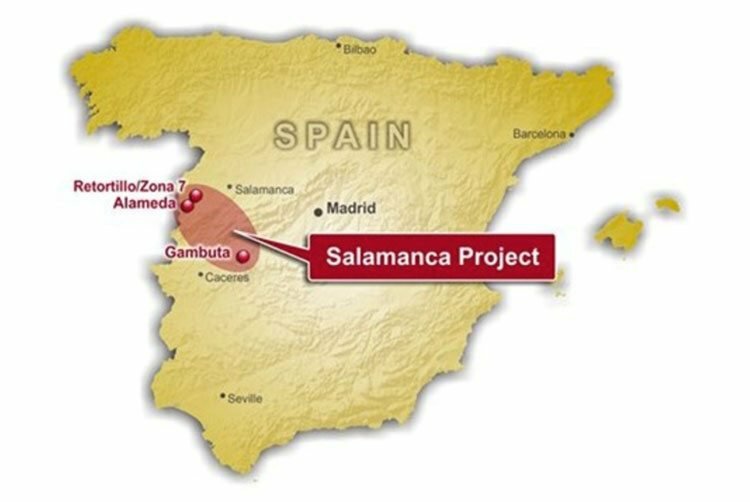 Obviously the facts of the Salamanca project fit the bill: a long-term, low-cost mine with the right economic fundamentals. In July, BKY informed the market that capital costs for the mine had reduced by 1 % on previous estimates, to €82.3 million (US$93.8 million) – further confirmation that the project is one of the lowest cost uranium mines in development. Given that the Salamanca mine has an initial life of 14 years and steady-state production is expected to generate an average annual net profit of US$116 million... this is a world-class project we’re talking about. The question, really, is whether BKY is currently presenting a serious bargain – not yet recognised by LSE or ASX investors on a broader scale. At Next Mining Boom , we are expecting more positive news just around the corner. Against a backdrop of improving sentiment in the uranium market, an imminent uptick in price is well within the realms of possibility. With all of this going on, we think BKY is doing well to be holding $38.4 million (£22.8M) in the bank (at last report). While the important business of setting up a solid team and a solid financial footing has been front of mind for BKY, it has continued to progress on the infrastructure requirements at Salamanca, as well as the next phases of another exploration program, also in Spain, to find more deposits similar to the impressive Zona 7. In June it announced it had started the next phase of its exploration campaign focused on discovering additional deposits with similar characteristics to Zona 7. The discovery of the high grade extensions at the Zona 7 deposit in late 2014 transformed the project economics and transformed the company’s geological modelling. So while Salamanca continues to be developed, the company are still looking for opportunities to increase its profile and/or mine life. Two areas in particular have been identified as prospective, and the team will work towards selecting sites for drilling and sampling. A key determining factor will be the broad use of modern exploration techniques. As we touched on earlier, the company has made two impressive appointments lately. Co-Founder of Majedie Asset Management (~£14 billion assets under management), Adam Parker has been appointed as an independent Non-Executive Director – bringing experience of nearly three decades in institutional fund management in the City of London. Parker managed funds including the Majedie UK Opportunities Fund, the Majedie UK Smaller Companies Fund and a quarter of the Majedie UK Focus Fund – which all outperformed their benchmarks during his tenure. The second appointment in recent times was former senior Rio Tinto executive Nigel Jones to the board. Like Parker, Jones is London-based, with an impressive background in international mining that spans thirty years – including being responsible for the negotiation of key uranium supply agreements for Rio Tinto. We don’t need to bore you with details of Rio Tinto – one of the largest mining companies in the world. The relevancy of Jones’ experience for his new role with BKY speaks for itself. With both additions to the team, what’s obvious is BKY’s commitment to building a European-focused board – which is likely to be key to its future plans to provide domestic uranium supply (from Salamanca) to the region. Global uranium consumption is projected to grow at an average annual rate of 4.8% from 2015 to a total of 97,900 tonnes of uranium in 2020 . This has a lot to do with the need for alternate electricity sources (of which uranium-fuelled nuclear is a significant one) that are low-carbon – particularly as the world requires more power as more countries advance technologically, and as the population continues to climb. Salamanca production is earmarked for 2018, so BKY’s timing certainly seems right. There is likely be plenty of utilities re-contracting in Europe (and beyond) as fossil fuels become a relic of the past – and all this is only helped more by the fact that the company should be able to produce uranium at competitively low costs. 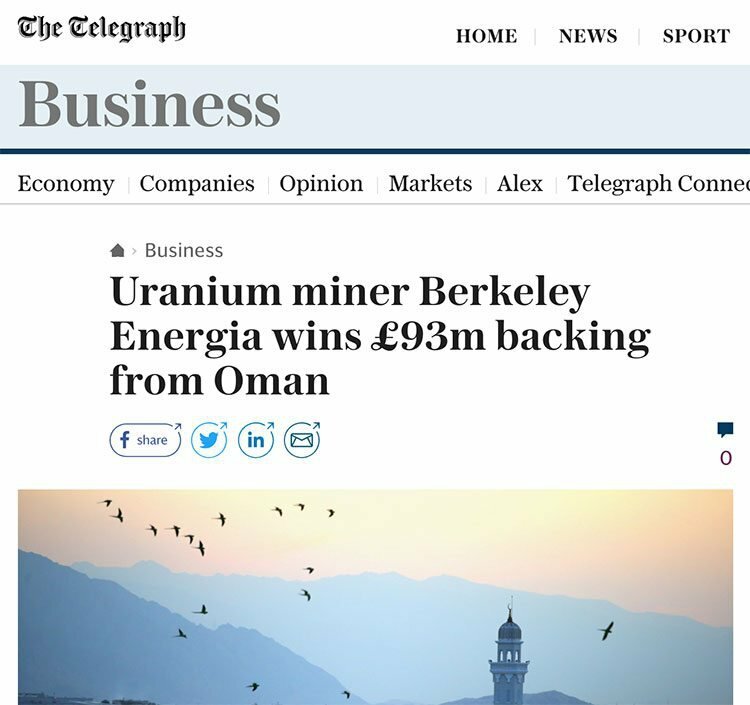 With progress on infrastructure, a reduction in capex, major strengthening of BKY’s board and management, a major injection of cash from a sovereign Fund, and the ongoing success of its long-term offtake programme... surely we can’t be the only ones thinking this Euro-focused would-be uranium producer is sitting very pretty indeed.